Happy "B" Day to Us! This November, we celebrated our first “B" Day! Now, we've been in business since 1997 so we aren't celebrating just any old birthday. 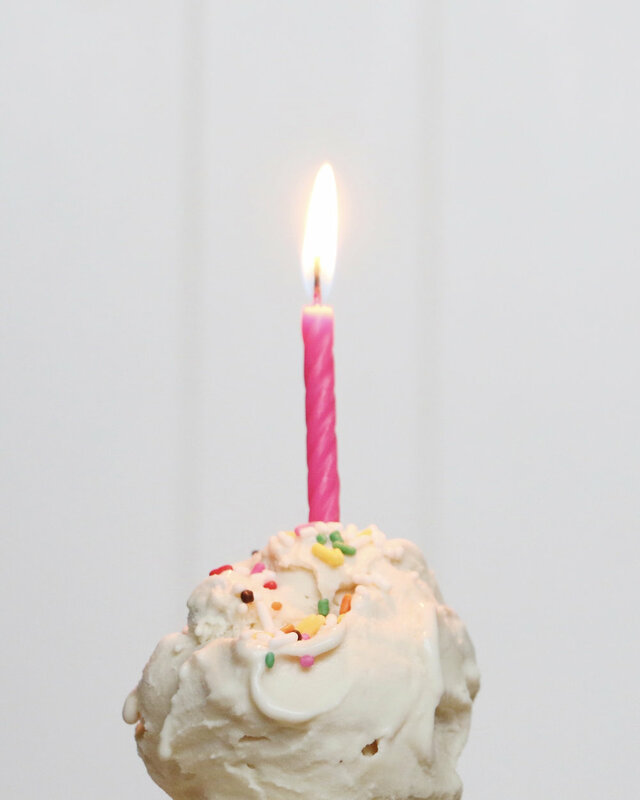 This month we blowing out one candle to celebrate our first year of being a B Corporation! As a B Corp, we have committed to using our business as a force for good, and we have hit the highest standards for multiple areas of our performance. Our company impacts more than just the economy; we are responsible for taking care of the community and our planet as well. Not only do we make THE BEST all-natural ice cream, custard, and gelato, but we also promise to take great care of our customers, employees, community, and environment. We are so happy to be a part of the B Corp family! One year down and a lifetime to go... And we can’t wait to continue to "B the change" and make a positive impact in the future! To learn more about B Corporations or to become a B Corp yourself, please visit their website at https://www.bcorporation.net/! Older PostWe're Making Our Way to Colorado!